The first time I saw snow fall from the sky I was 18 years old. Needless to say, when I moved from South Florida to southwest Ohio for college, I had a few things to learn about winter. 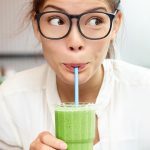 As a self-proclaimed fashionista, seasonal living meant adding even more fun pieces to my already full wardrobe, but winter pieces also involved a little more research. For those who’ve just transplanted to the great white north or those are in need of a refresh, we’ve rounded up our favorite winter essentials for college students everywhere. Winter may feel overwhelming, especially if this is your first time experiencing it, but armed with these essentials, you’ll be ready for anything! One of my first winters was labeled a “Polar Vortex” and our college classes were canceled due to extremely cold temperatures. If I can survive that, you can do anything! You’ll wear a puffy down coat every day of this winter season. It’s water resistant, warm and the removable faux fur lining elevates its fashion. The key to thriving in winter is to stay as dry as possible. Wet feet will automatically become cold feet in that 8am trek across your frozen campus. 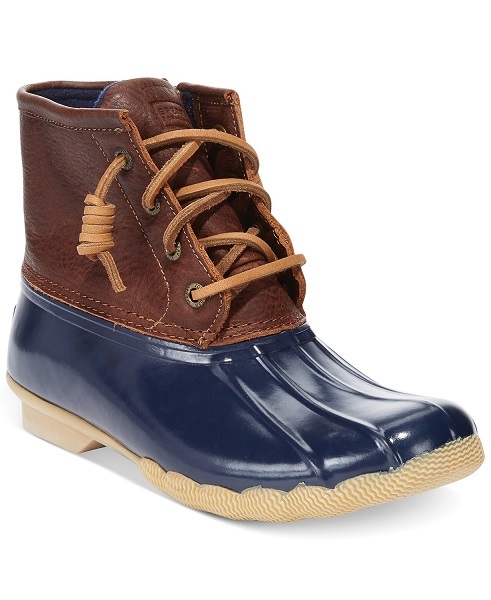 Keep those toes dry and warm in a pair of snow boots, like these trendy, fleece lined duck boots by Sperry. 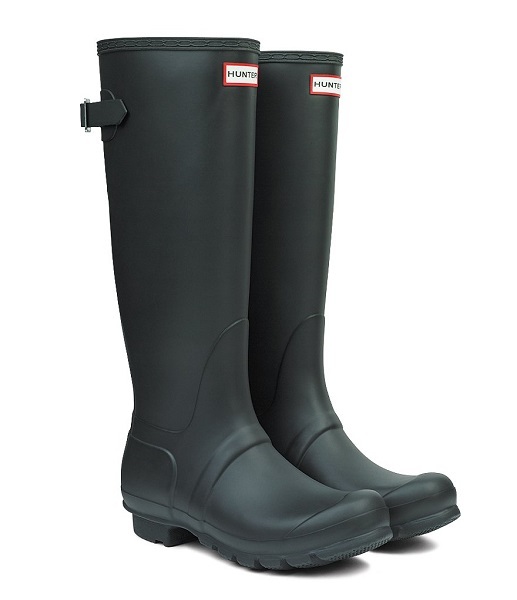 If snow boots aren’t for you, consider investing in a pair of rain boots. They can transition with you through all the seasons and can be made warmer with a pair of long boot socks. Any time I’d call my mom to whine about the new frigid winter temperatures, she’d always remind me to “Layer! Layer! Layer!”. How can you layer without feeling bulky or overly warm? Check out the Cuddl Duds line of undergarments. Their soft and cozy fleece-lined tops and leggings will also become your new favorite loungewear. Slip these under your jeans and sweater before you head to class and you’ll be warm all day! Because your winter wardrobe will go through quite a weathering, don’t be afraid to invest in great pieces. While these Ugg slippers probably won’t be braving the elements, we still think they’re worth every penny. You won’t want to take them off when it’s time to leave for class because they’ll keep your feet so warm and toasty! We lived by the “Class off, Robe on” mantra in college. A big, fuzzy robe–despite its real lack of high fashion–was the only thing I wanted to curl up in when I came back from a long, cold day of class. Thankfully, Charter Club has remedied the fashionless robe situation and given us this beautiful floral print and all the cuddly warmth we need! You’ll be making all sorts of coffee, tea, hot chocolate, soup and Ramen in your dorm room this winter. 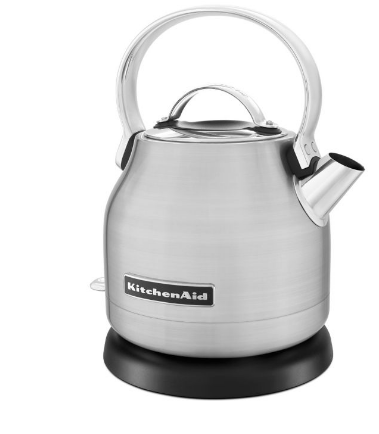 Make it easier than microwaving a mug of water and pick up one of these cute KitchenAid electric kettles! When it’s too cold to think of walking from your cozy dorm to the dining hall in the dark winter months, you’ll have all you need to whip up dinner in your room. Before you pick up one of these great oscillating tower heaters, be sure to check your dorm’s list of rules. Some may not allow a space heater, but if they do, run to your nearest Bed, Bath and Beyond and pick one up before it gets too cold. You’ll be the most popular room on campus if you have one of these! 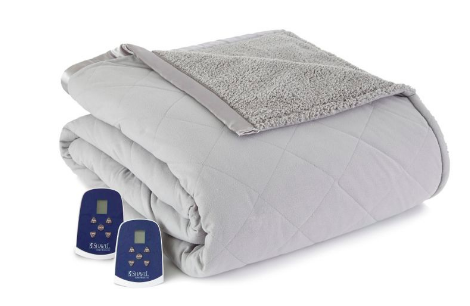 If your dorm doesn’t allow a space heater, get the next best thing in this reversible electric blanket. It’s a fuzzy sherpa blanket on the inside and a quilted bed comforter on the other, which makes it perfect for swapping out your regular comforter during these winter months. The drop in temperatures requires the best products out there. 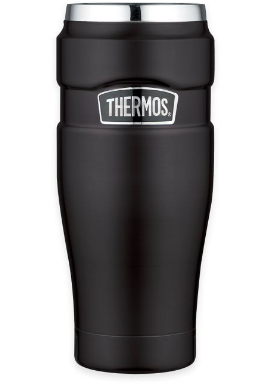 This Thermos travel mug will keep your morning coffee or tea piping hot during that walk to your first class. One of the most fun parts of winter are the outdoor adventures with friends. From hiking to sledding to snow tubing to outdoor skating, you’ll want to stay as warm as possible. 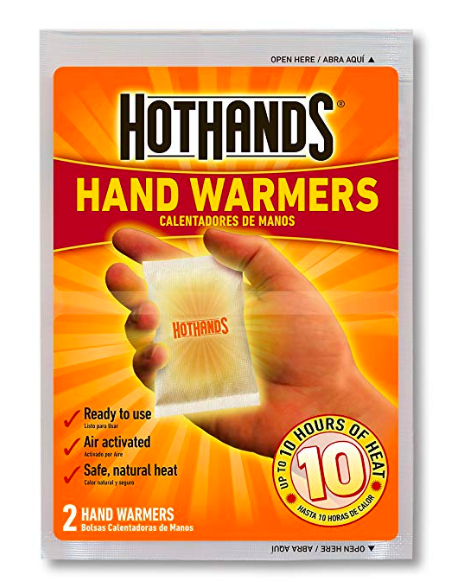 These hand warmers are the easiest way to keep your fingers from freezing in your coat pockets. When you’re ready to use them, just shake and go! While this contraption may look silly, your hands will thank you for it this winter. When it’s time to scrape the ice off your windshield, turn on those defrosters, slip on this scraper mitt and get to work. Winter has a way of drying out your hands and face. 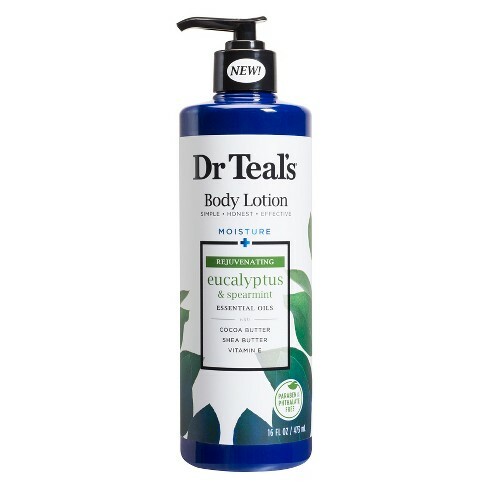 Work against the dryness by applying this moisture rejuvenating lotion from Dr. Teals every morning and evening. Want to lock in some extra moisture? Apply to your hands then put on some mittens and let set for a few minutes while you finish getting ready for bed. Just like your hands and face, your lips will be dry and chapped this winter too. 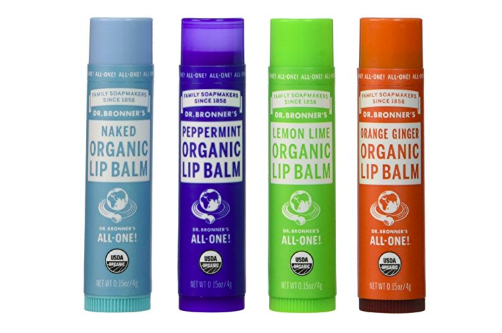 Pick up a four pack of chapstick on Amazon, like this set from Dr. Bronners, to fight off the winter chill. Apply daily and keep one on hand or in your backpack too! Any of these items would make fantastic gifts for your favorite college student! Equip them for the cold months! 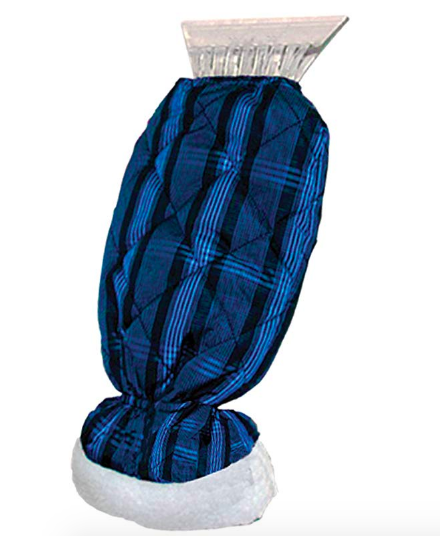 You can also check out more winter ideas on our GiveIt blog at RegistryFinder. 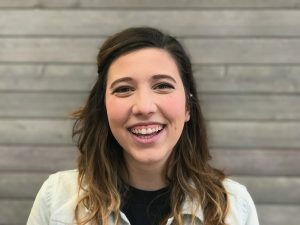 -Written by Sami Moss, who now loves winter because of fireplaces, fresh snow falls and cute coats.